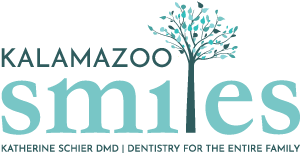 At Kalamazoo Smiles, our Kalamazoo dentist is experienced in providing oral surgery. Our goal is to give you the most comfortable care possible. We’ll take the time to answer your questions and explain your treatment plan before your oral surgery procedure so you can feel confident that you’re in good hands. Below are a few of the procedures we offer. For oral surgery in Kalamazoo, MI, you can trust our professionals at Kalamazoo Smiles. Our Kalamazoo dentist will guide you through preparation for oral surgery. Know that there might be limits to what you should eat or drink before the procedure, and depending on the type of sedation dentistry used, you may need to have someone drive you home after your oral surgery is complete. We’ll do everything in our power to make your oral surgery a calm and quick procedure. To set up a consultation, request an appointment online or give us a call at (269) 353-3700.